Rain-A-Way Exteriors, Inc. is a family owned and operated business that offers complete Roofing, Gutter, Siding, and Window Services for both Residential and Commercial customers. Since 1962, we have prided ourselves on offering quality products and installations that we are happy to stand behind, offering a 5 yr. labor warranty on new installations. Our customer’s complete satisfaction is always our goal! We respect our customers and have never used “high-pressure” sales tactics to sell our services, but instead always offer a fair and honest price for ONLY the services you need! 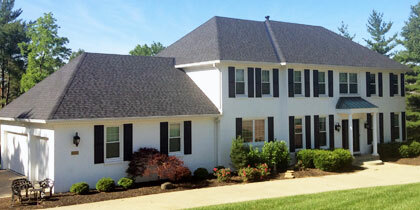 Protect and beautify your home with a new roof installation by one of our expert technicians. Check out the products we offer for both residential and commercial roofing. Whether you need seamless aluminum gutters (available in many colors), copper gutters, or have box gutters that need relining, we have the solution for you. 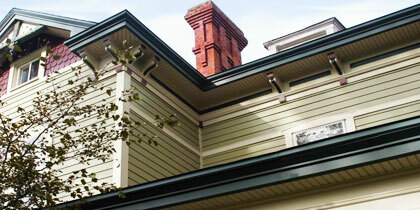 Wrap your home in beautiful siding. We offer both top of the line fiber cement and vinyl siding. Check out our different styles and colors! Our Best Advertising comes from the referrals of Our Satisfied Customers! The quality of work was excellent and I would definitely recommend them to a friend. 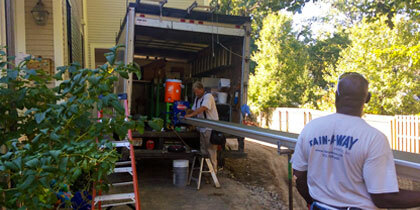 They were very timely and professional- all staff and crew. Darrell was very knowledgable and friendly. The person doing the work (Bob) was very nice when he called and explained things. I was shocked how fast everything was done.